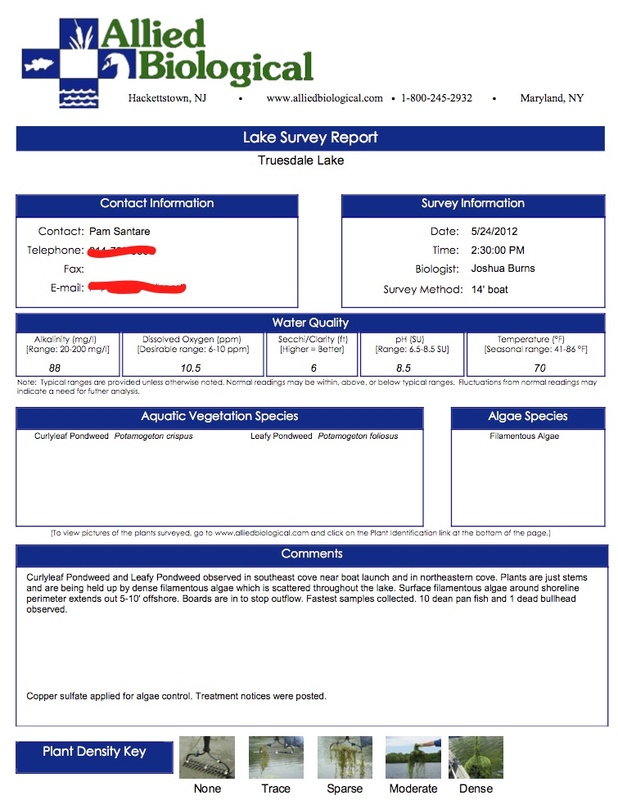 The lake was surveyed by Allied Biological and treated for algae on May 24th, 2012. Treatment notices were posted around the lake. Swimming and irrigation restrictions are 24 hours. Treatment report is below.